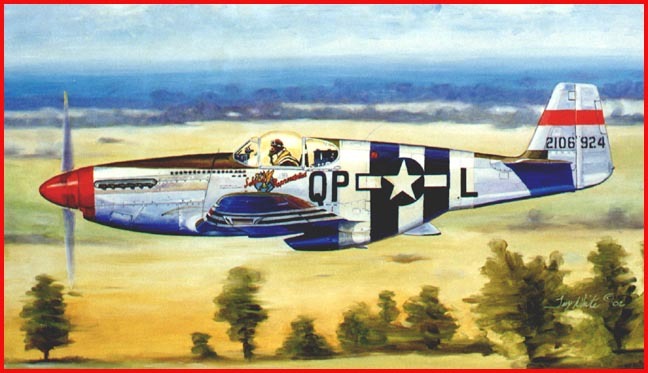 Artist and author Troy White brings us a new book outlining the flying career of Lt. Ralph "Kidd" Hofer, the highest scoring fighter ace of the US 4th Air Force. Hofer was an all-American who joined the Royal Canadian Air Force in June 1941. Following training he was posted to 286 Squadron, flying Hurricanes mostly on target towing duties. 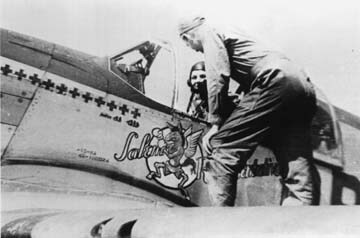 With the arrival of the USAAF in England, Hofer jumped at the chance to see some real action and transferred to the US 4th F.S., transitioning to the P-47 Thunderbolt from early July 1943. The book covers Hofer's operational career, and notes both his great talent as a fighter pilot, resulting in his impressive tally; and his dislike for authority, which delayed his promotion to Second Lieutenant until he had scored ten victories! The text also spends some time discussing the mystery of Hofer's loss over Hungary in July 1944, only 14 flying hours short of the end of his tour. Hofer's perplexing personal life is also touched on, with detailed correspondence between the USAAF and Hofer's mother and estranged wife. The 200 pages are packed with some great photos of men and machines (mostly Mustangs but with a good smattering of other types), plus attractive artwork by the author. It might have been nice to see some of these artworks in colour, but the entire book is reproduced in high quality monochrome. "Kid Hofer - The Last of the Screwball Aces" will be of interest to historians and modellers.